Must Have Home Workout DVDs for Women! 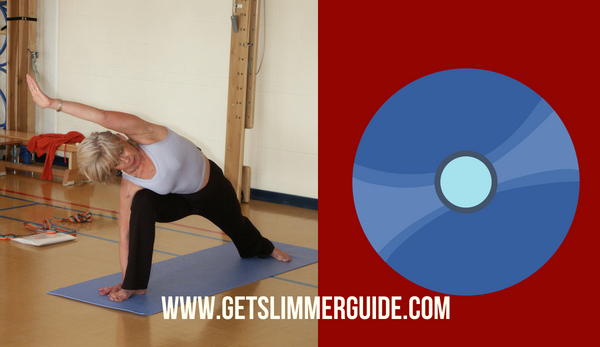 Looking for the best home workout DVDs for women to lose weight? Here are some of the most popular ones available on the market today. There comes a time in your life where you can no longer just sit and wait for a miracle to happen. You just need to change your daily habits. Luckily, today you can find so many different things that can help you stay active and in shape, and you don’t even have to go to the gym or spend hours doing different exercises. Now every woman, from the lazy one to the one who has too many obligations, can simply buy a workout DVD and start changing her life. Below is a list of popular home workout DVDs women love that can help you to get in shape. Stephanie Oram is the owner and creator of this DVD and she will be the one who will guide you through an intense series of different workouts that will help you to get rid of your fat and build muscles. The good news about this DVD workout is that it will only take twenty-five minutes of your time. What is also amazing about XTFMAX is that it includes five interval workouts that will shape every part of your body. And, this DVD is not only for the beginners or for the ones who are professionals, it is for everyone who wants to start or continue to lead a healthy life. With XTFMAX, you will find different modification levels with each exercise type. Also, XTFMAX: One on One has a workout calendar that can help you to organize and plan your workouts. This is definitely one of the best home DVDs for women. Everyone knows that Jillian Michaels is one of the toughest female trainers in the world. She has been praised for years as being one of the leaders in health, weight loss and muscle gains. Michaels combines cardio, strength, and ab training to give a complete workout in the 30 Day Shred. Because her workouts can be so intense, the DVD offers different difficulty levels. If you are a beginner you should start with the Level 1, but if you are experienced, Level 3 is the perfect option for you. What makes this leveling system so great is that you can start at Level 1, but as your body sheds weight and gains muscle, you’ll be able to move up. Using this progression, you will achieve the results you wanted with very little hassle. Michaels says that if you follow her 20 minutes per day workout, you can lose almost 20 pounds in 30 days. It may seem impossible, but the results speak for themselves. Word of warning, these exercises are not easy at all. Even if you choose to do the beginner level workouts, you will soon realize that it is not as easy as it may seem. Michaels doesn’t give you the time to stop and take a deep breath, so there is very little resting between reps. While this may seem hard at first, the difficulty is how you can achieve such great results in short period of time. This DVD is definitely something you should at least try. If you are up for something different and of lower intensity, Michaels has another DVD that is for people who are more into yoga than a classic workout. Every workout on Yoga Meltdown lasts about five minutes and Level 1 is pretty straight forward, so there shouldn’t be a problem for anyone who is a beginner. What is so good about Yoga Meltdown is that Michaels explains every workout thoroughly, so you will have no problem following her steps. Even if you are not a fan of yoga, you should give Yoga Meltdown a chance, because it is not a typical yoga exercise. Some people even compare these workouts to aerobics. This DVD will show you how to fall in love with yoga, how to burn calories, and, most importantly, how to increase flexibility. It may seem hard in the beginning to get through these thirty minute sessions, but once you finish with these workouts, your body will feel revitalized and much more limber. Despite its name, this workout isn’t just for brides hoping to drop a few pounds before their big days. The Wedding Workout is a workout option for anyone who wants to lose weight in a short period of time. Women’s health – The Wedding Workout is the ideal DVD for any woman who wants to look good for a certain event or trip, any weight loss that needs to be done on a timeline. What is so great about this DVD is that it provides a great workout, plus leaves enough flexibility for you to add any of your other favorite exercises to the day. The DVD also allows you to target any trouble areas. It offers you several workouts for every part of your body, such as upper body, lower body, core, cardio, or abs. Also, you can both create your own schedule and do it how it suits you, or you can use one of the prepared schedules. It is completely up to you. Since not every woman is the same or has the same body shape, you can decide whether you want to concentrate more on your lower body or on your upper body. Women who bought this DVD are quite satisfied with it because all the exercise routines are the same, which means that you are constantly repeat the same moves. This makes it easier to learn and memorize the moves, so you don’t have to struggle to keep up. If you buy this DVD, you will also find quite a few extra tips about matters to help women feel and look their best. These tips include things like how to walk in high heels and advice about nutrition and healthy food. This is an amazing option for women who want to learn more about these topics. If you are looking for the best workout dvd for women, you will surely find one of the above listed options beneficial.